We hope you have been enjoying our June release reveals! 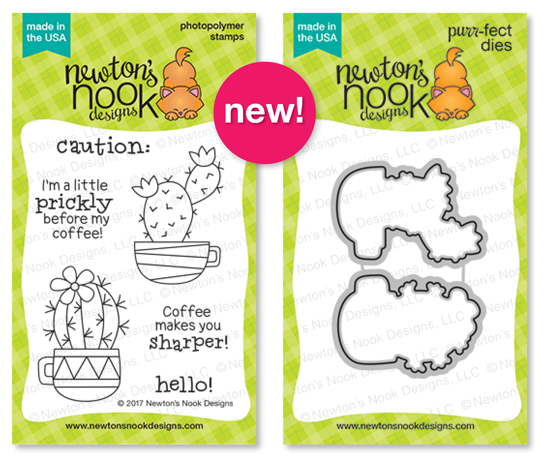 Today we are sharing TWO new stamp sets: Cultivated Cacti and the cute new Cuppa Cactus! We are giving each of these stamp sets away so make sure you read all the way to the bottom of this post to see how to win! Look sharp with this stylish 4 x 6 cactus stamp set! This set includes 4 pretty patterned pots and 5 cactus plants that you can mix and match to create fun and colorful greetings! The bold images are easy to ink and stamp with colored inks and are perfect for embossing techniques too. 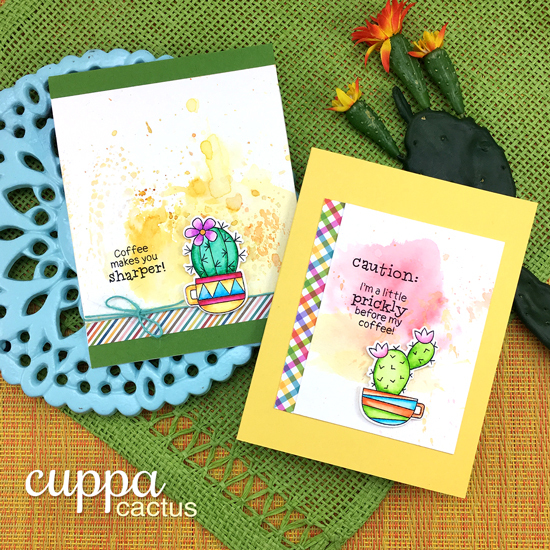 The cactus sentiments and puns will add the perfect touch of whimsy to your creations! You are going to love all the cacti cards by our Design Team! 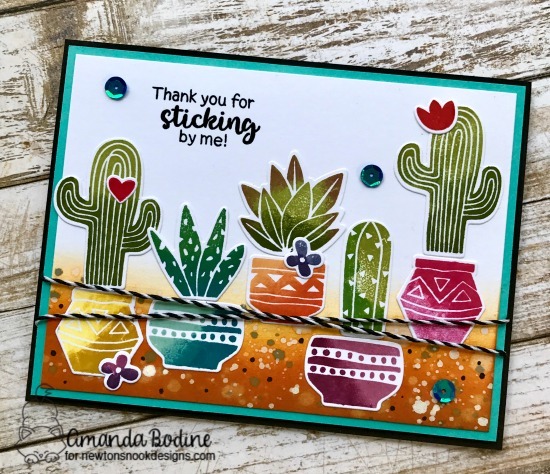 Amanda created this gorgeous scene using a bunch of the images from the new Cultivated Cactus stamp set! Love the colors! Prickly before your coffee? The sentiment on this card using our new Cuppa Coffee stamp set will make you laugh! Ellen's coloring on this is amazing too! 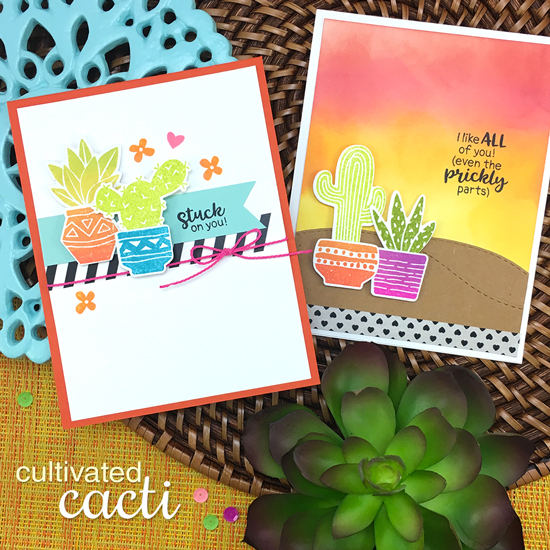 Larissa created this gorgeous card using several of the cactus images in the new Cultivated Cacti Set! The little flowers give the perfect pop of color! 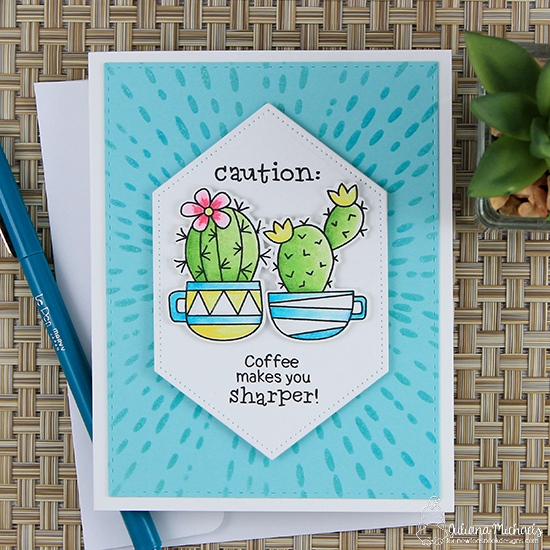 Juliana created this fun card using the new Cuppa Cactus stamp set! I love the way she used a sharp edged die cut to coordinate with the sentiment! Tatiana created this fun cactus using the bold images from the new Cultivated Cacti stamp set. She stamped the images first with white ink and then again with a colored ink slightly offset! How fun! 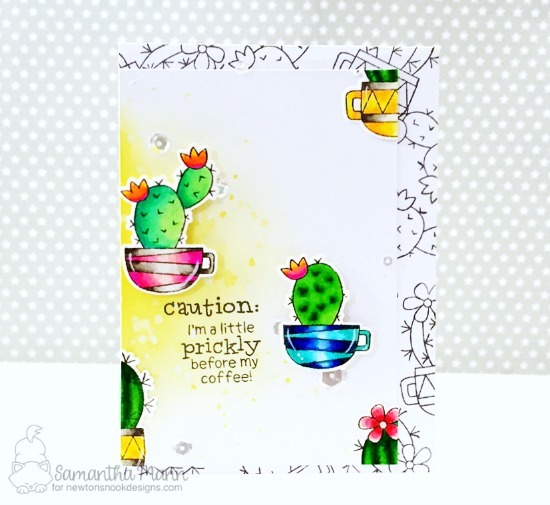 This cactus card by Jennifer using our new Cuppa Cactus set is so adorable! Those cactus images might be prickly but they are so cute too! I love the fun bright pastels she used! 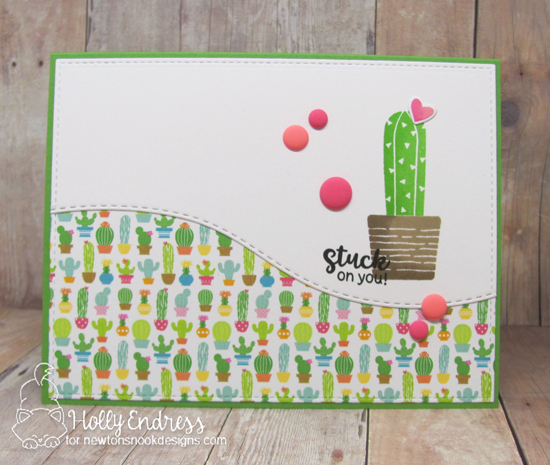 Holly created this sweet cactus card using the bold cactus from the new Cultivated Cacti set! She also used our Land borders die set to create a fun curved edge and found the perfect patterned paper to match the cactus image! Caution tape? Yes, please! 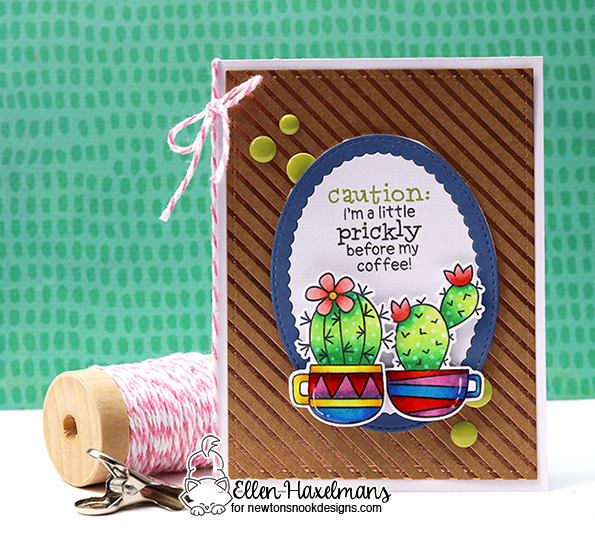 Naki created this fun card using the caution sentiment from the new Cuppa Cactus set! What a fun to add some whimsy to the cactus image! Maria created a trio of adorable cactus plants in pretty pots using the new Cultivated Cacti stamp set! The bright hot pink and lime green colors are so fun! 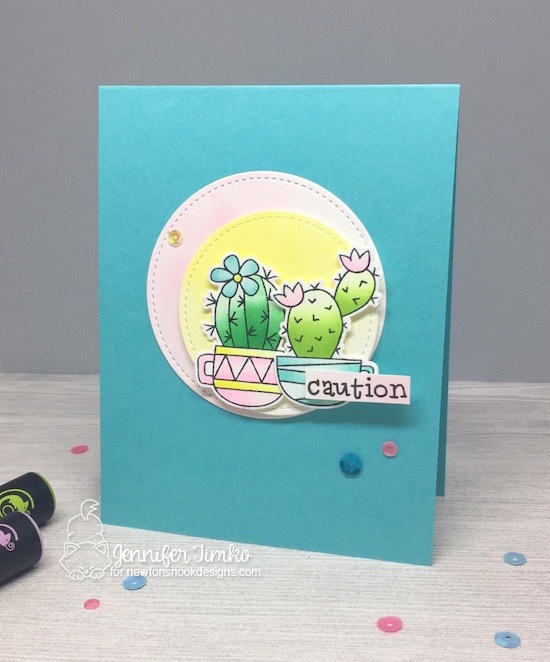 Samantha created this gorgeous card using the fun new Cuppa Cactus stamp set! I love the way the images go right off the edge! Yay! Love today's release...that Cuppa Cactus is AWESOME. Love everybody's cards!!! Off to hop! Great cards! love the stamp set!! Love these stamp sets. So cute! I love both of these adorable sets! Who knew cacti could be so versatile! Such colorful and pretty cards from everyone! EEK - gotta have these sets!!! I must have these sets! They are fantastic!!! What beautiful southwest pots and I LOVE the ALOE sentiment! All of the projects are just gorgeous! Definitely on my wishlist!! I'm absolutely smitten with succulents of late and your sets here are a dynamic duo that see me mega watt smiling! The showcases...oh my! Cacti never looked so cute, so charming! LOVE! OMG! Both these cactus stamps and dies are on my wish list🌵.love all the card samples. WOW excited for these stamps. Oh these are all such wonderful and inspiring cards!!!! I love them ALL! WONDERFUL stamp sets, and sentiments!!!!! Two great new stamp sets! The design team did an amazing job with their inspiration. Woo hoo...I love these new stamp sets!!!! I've always enjoyed growing little cactus in pots and watching them grow and bloom. But lately I have developed a "cactus stamp addiction" too! ;) So the "cactus stamp addict" in me is trying not to shout PICK ME! Ha Ha. FUN blog hop and awesome new products!!!! 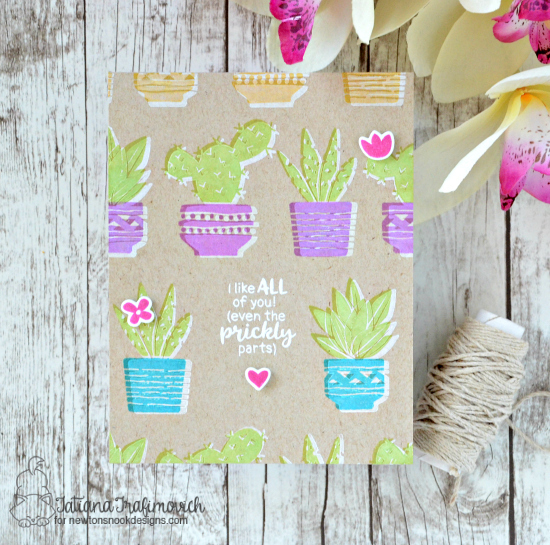 Love the cactus stamps and dies! Awesome sample cards! Very fun new sets! Great sentiments in both of these cute cactus sets. My family leaves in AZ. I am stuck in Illinois I need this set!! Awesome, these are so cute! Love the cactus prickly pear awesomeness!!! all cards ae so great! Love the cactus stamps! They are so great! Oh my goodness, my wish list keeps growing!!! Love these! Oh cactus, cactus, I see them everywhere and I really really need one myself! Wonderful work! 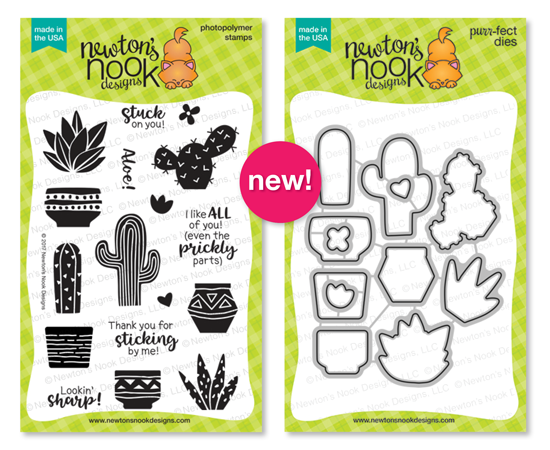 Cactus stamps are so popular right now and yours is sweet! Oh, Cuppa Cactus is so me! Love those sentiments! cuppa cactus is adorable! love the new sets! Awesome cards! Everyone is so cute and creative! I really need these! hehe Thanks so much for sharing and making such cute cards! love, love, LOVE them! Wow, LOVE all the different looks from these two sets...and the punny sentiments are great! Fabulous stamps and cards!!! Love the fun sentiments and gorgeous cactus plants and succulents!!! Wow! These cactus and succulents are adorable!!! I love so much how they can be used to make adorable, funny and gorgeous cards!!! Love, love, love!!! Sooo cute!!!! Love how you did this stamp set and that it can be used with past and new current stamp sets!!! love these cacti, so fun, all the possible combinations of pots and cacti is great! Once again, your team created fantastic cards !